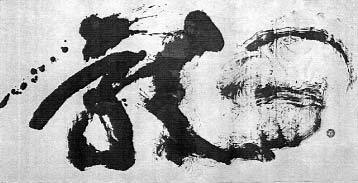 Shantien ‘Tom’ Chow, master calligrapher and teacher has been teaching this great Chinese calligraphy workshop at the studio for years! Tom leads us to powerful gestural strokes along with the history and baclground of the study. 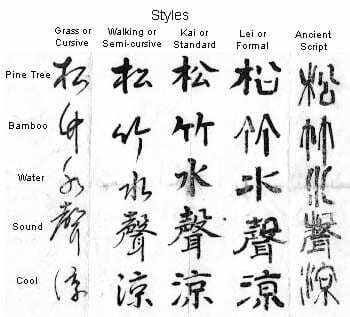 Beginning with the ‘Traditional or Formal Calligraphy we also study the ‘Grass’ or cursive style of Calligraphy and the ‘Walking’ or semi cursive style. How wonderful it is to write our names and meaningful phrases. See some exciting examples below. For more info send us an email! Reserve your spot in the workshop – All Six Classes. The cost is $123 to charge or mail check for $120 for the six sessions. Prepaid Reservations are required before the start of class. NOTE: The classes are ongoing throughout the year but broken into segments of 6 classes each. 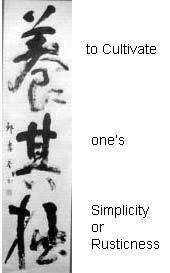 Full sheet size calligraphy as a painting.